Montreal band STARS is nearly 20 years old and can’t stop making incredible music. 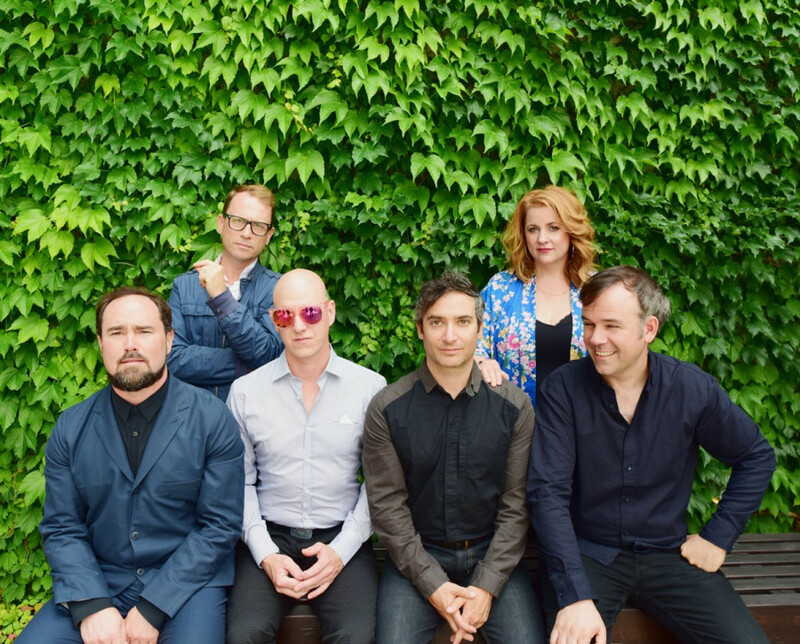 Formed by keyboardist Chris Seligman and lead singer Torquil Campbell back in 2000, when they recorded their first album, Nightsongs, together in New York. Along the way, they gathered the rest of their ensemble, Amy Millan covered vocals with Campbell, Evan Cranley on bass, Patrick McGee on drums, and Seligman still on the keys. Now, their long-awaited new album, There Is No Love In Fluorescent Light, dropped on Oct. 13 and is chock-full of captivating melodies and lyrics that will hook onto your heart. Every track allows the listener to experience a new depth of the songs, and the world that this album will put them in. Certain albums are meant to be experienced as a complete work, whereas other albums are made up of very separate songs that are tied together with a central theme or mood or genre. STARS’ album contains songs that feel like their own separate rooms inside of a house that could not exist without them. Each song brings forward its own raw emotions, creating its very own space within the work. All of these songs blend together to bring home feeling a listener might not have even know they have. Feelings of longing, hope, anger, love, and sadness. The album combines genres and sounds but all of the songs flow together very nicely. On Nov. 13, they played a sold out concert at Bar Spectacle L’Escogriffe, a small venue in the Plateau. The place was packed with the audience pressed up against the stage, only a metre or two away from the band. The show was as much a celebration of their new album as it was for their older works. They played nearly every song from their new new album, opening with the third track, “Losing To You,” in which they sing directly to each other about the pain of a fading romance. Throughout the show, Campbell and Millan were engaged with the audience, leaning towards them and occasionally giving out fist bumps and high fives. Their stage presence was magnetic. One of the singles from their latest album, “Fluorescent Lights,” was the third song of the evening. It got the audience moving, singing and dancing together, with its fun and fast paced chorus and lyrics that hit just a bit too close to home. The final song on the album is “Wanderers.” It is a calm track with a soaring refrain that finishes the album on a satisfying high note. Millan wrote it for Gord Downie, the lead singer of The Tragically Hip who passed away a few days after the album’s release. Before they preformed this song, Millan and Campbell spoke about Downie and asked the audience to raise their fists for the late musician. This moment of silence was a reminder that music connects us as people and impacts how we experience the world, as well as what it means to have these people who inherently mean so much and how painful it can be to lose them. In between songs, Campbell and Millan spoke honestly about their lives and what the city of Montreal means to them, as well as how they were managing with how the world seems to be moving right now. “There is a lot of ugliness out there, please stay soft and stay beautiful,” Torquil said to the audience. They crowded around him as the band prepared to dive in to “Hold On When You Get Love And Let Go When You Give It,” a song from their 2012 album The North. One of the last songs of the evening was “No One is Lost,” which is also the title of their album from 2014. Music that is raw and honest and vulnerable has a way of touching people in such a strong and inexplicable way. STARS has been mastering this skill for the past 17 years and will hopefully continue to create meaningful and incredible work. Experiences like the one shared at this shows, where you would find 200 or so adults dancing, singing, crying, and feeling soft and alive on a cold November night.